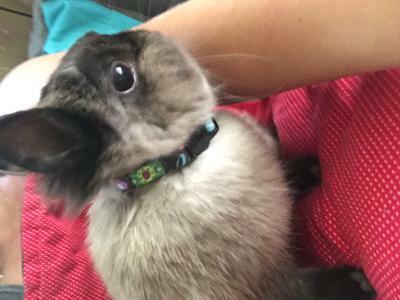 I have a 17 month old dwarf bun, she's a gem and I've never had any problems with her, but for the past week she's been peeing on her blanket and not in her litter box... she has a huge in closure with tons of space... Periwinkle has a litter box inside her large create and it's door is always open so she can run and play in her enclosed area. I can't figure out why after all this time she's changing her toileting preference. I have always cleaned her litter box daily so it's not because its dirty. Please help.